Mendel: All media are down. LOS ANGELES -- Advertising budgets are down across the board, and newspapers are largely off the radar of automakers, a panel of top auto marketing executives said here last week at the Automotive News Marketing Seminar. The panelists said their budgets are lower and more focused on TV and the Internet. 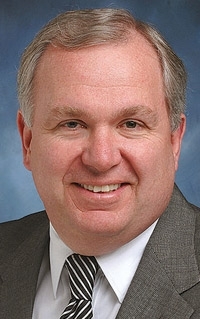 John Mendel, executive vice president of American Honda Motor Co., said budgets are down across all media. In the current economy, he said, all forms of advertising are having less impact. 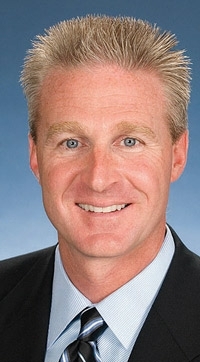 Scion Vice President Jack Hollis said the Toyota youth brand's ad spending is down and is concentrated on grass-roots marketing and the Internet. The ability to measure the impact of advertising campaigns is crucial, panelists said. That has led to more online advertising, they said. "We still do some national cable, but our XC60 launch has been 60 percent Internet," said John Maloney, vice president of marketing and product planning for Volvo Cars of North America. "The tools are changing." Joel Ewanick, head of marketing for Hyundai Motor America, agreed. "It's not that newspapers are dead. It's just how people are interacting with them," he said. "More people are going to the online versions of the newspapers." Hollis: Scion relies on the Web. A dealer no longer can afford a $20,000 newspaper ad, Ewanick said. But if the dealer goes online with the same ad, he can gain instant feedback. Judy Wheeler, director of advertising for Chrysler LLC, said regional newspapers are an effective way to get the message out in Middle America. The automaker used 50 local newspapers, in addition to USA Today and The Wall Street Journal, to publicize Chrysler after its bankruptcy filing. Multifranchise dealer Mike Sullivan of Santa Monica, Calif., said he uses radio, outdoor and some cable but is shifting more to online. About 800 people attended the annual marketing seminar at the Westin Bonaventure Hotel.